Sometimes the old ways are the best ways and Tebori is one example of that. Many people perceive tebori to be more a painful and a slower tattooing process compared to modern machines but the opposite is actually true. Hand poke work in the tebori style is much less painful, causes less bleeding and is less traumatic to the skin than machines and the tattoos done in this fashion tend to heal quicker and with less scabbing. 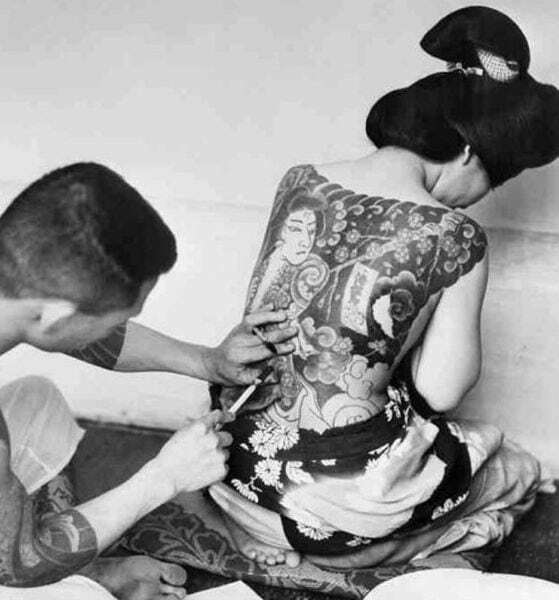 Tebori has a rich history and tradition in Japan and up until the last 40 years or so all tattooing was done by hand in Japan, from bodysuit to small one-point flower and much of it still is. Most of the traditional artists today in Japan still make all their tattoos by hand when it comes to colouring and black shading while utilising modern machines for making clean solid lines. While there are a few dedicated artisans that also create their lines by hand it is not often seen and seems to be a dying art unfortunately. The Japanese tradition of hand poke tebori tattooing is associated with the Japanese craft of woodblock carving and woodblock printing as craftsmen of both tattooing and carving are called ‘Horishi’, or carvers. 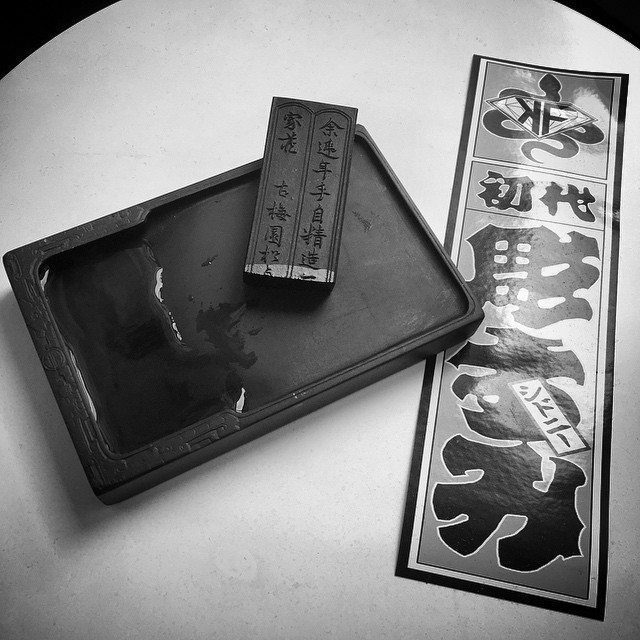 Tebori means to ‘hand carve’, the skin being tattooed not unlike a wood block in preparation for making a print. Accordingly it is thought that many woodblock printmakers and carvers from the old Edo Japanese were also tattoo artists in their spare time as the skill sets required for both had a lot of overlap, Kuniyoshi being a prime example of a famous Edo era artist thought to have been a horishi. While it may be true that more exacting fine details can possibly be achieved by well accomplished tattoo artists with machines, tebori offers a much more saturated colour look in the skin, a very different and unique feel of the artwork compared to machine work and it has true to tradition authenticity, also the time required for hand made tattooing is comparable to a machine when performed by a skilled tebori tattoo artist. 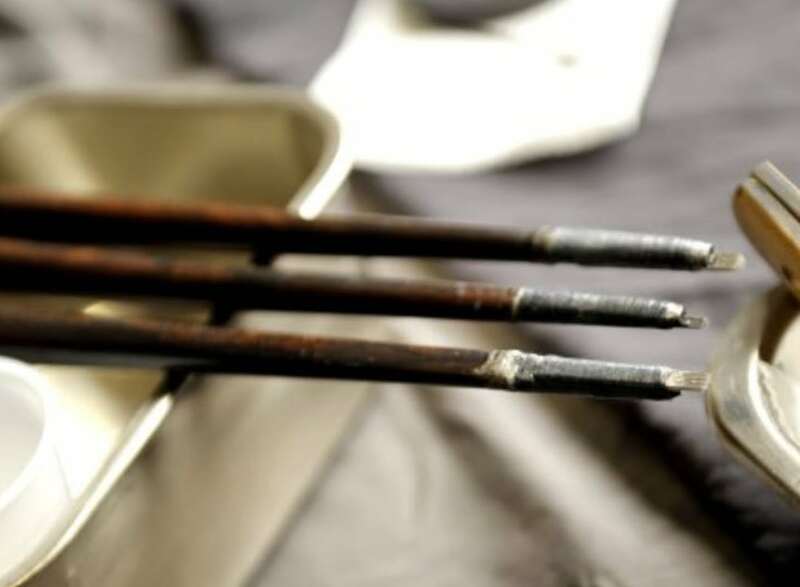 Tebori tools can be made of either wood or metal and the needles come in a varying degree of sizes and configurations. Another reason why tebori tattooing can be just as fast or quicker than machines is the needles groupings.. an average needle group for a machine tattoo is 9-13 needles for coloring in, while with tebori they can be 11-42 needles! Much more efficient. Horisumi has been trained in Japan by Japanese tebori master Horikashi and has brought the skills of tebori needle making, and hand poke traditional know how back to Australia where he practices the craft at Authentink Studio on a daily basis At the moment Horisumi shades and colours most off his current works by tebori and creates outlines by machine. Some ongoing tattoos that were started by machine have now opted to transition to be coloured by tebori and any clients that wish to complete or have their tattoos done Tebori just need to talk to Horisumi about it. For those that wish to have their tattoos done solely by machine Horisumi is happy to accommodate in his current highly detailed and richly coloured style. Consults for small one-point tattoos to full bodysuits by tebori on new clients are now available, please send an inquiry via the contact form for more information. 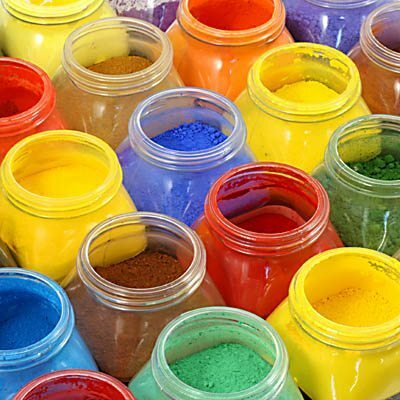 –all colours are hand mixed pigments created in the studio by Horisumi using basic and natural ingredients that don’t contain any acrylics or resins.